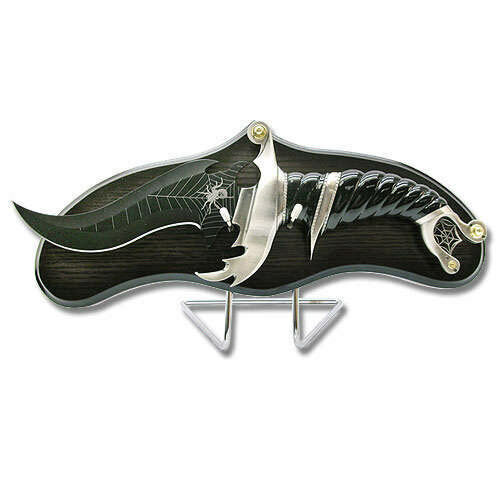 Features a black anodized, stainless steel blade with intricate spider web etchings. The classic black handle is spiral designed and equipped with cast metal parts and outstretched guard. Versatile display is perfect for table or wall use. 14"